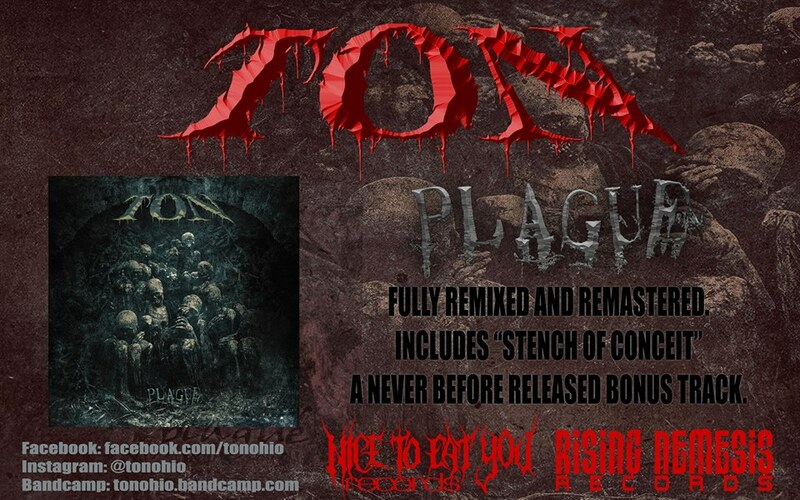 Technical but not overly indulgent and dripping with a raw old-school meaty malevolence, TON’s intricate form of brutal death metal – a terrifying tornado of swirling, smashing percussion and attention-defecit guitar leads and riffs – knocked us all on our asses when Plague was originally released back in 1999. Recently remixed and remastered, the timing was right to revisit this meisterwerk and ascertain if it’s still as lethally effective as it was nearly 20 years ago. Unsurprisingly, the answer is a resounding yes….and in its remixed and remastered form, Plague is more potent than ever! The most aggressive grooves imaginable inform the majority of Plague and, given this was the late 90’s, it’s frighteningly prescient that elements of deathcore and extreme technical death metal appear to snake their way through TON’s labyrinthian compositions. Were TON ahead of their time? Perhaps. It could also be a case of hindsight playing tricks on us and wanting to hear elements of groundbreaking noise amidst the squeal of incalculable and irregular rhythmic patterns. One thing is for sure, the insanity that drives the likes of “Withered” and “Drawn In Blood” were instrumental in ushering in the post 00’s era of ever-challenging extremity! Extremity is one thing, but the key to Plague‘s success lies in its innate ability to maintain recognisable (for the initiated and strong of stomach anyway) songwriting craft amidst the assailing drive and unpredictability of mind-boggling technical prowess. “Evolution” is the perfect amalgamation of this sentiment, the word itself aptly describing the ever-changing shape of death metal in the hands of these deviants from Ohio while still providing enough old-school thrills to keep the classic death metal fans enthralled. Featuring 9 tracks of punishing technical death metal delivered with immeasurable crushing power, Plague is an astonishing piece of work. We’ve said it before and we’ll say it again…..TON? Make that a megaTON! Originally released by United Guttural Records in 1999, Plague has been remixed and remastered and also includes “Stench Of Conceit”, a never before released bonus track. Plague – Remixed & Remastered was released December 1st 2017 by Rising Nemesis Records and Nice To Eat Yo Records. OPPROBRIUM (aka the original Incubus!) – NEW ALBUM UPDATE!